Anonymous, 15 Jul 2011hi, how could you say that spiro is worst? i was was planning to buy one because its cool and ... moreThe phone is not really good, honestly, not good at all. I know it because I have been own it myself personally. It has only been 7 months,and this phone starts to hang and says 'out of memory' when you reach a certain amount of texts in your inbox. You will have to delete, restart, and when you restart it, it will take min.5-10 mins then only you can text. (And a phone is for people to text). It hangs when you take pictures, or either, when you open your call log. Thats what mine does. and so I'm switching phones.. although it has just been 7 months. hi, how could you say that spiro is worst? i was was planning to buy one because its cool and cute but i was wondering why most of you doesn't like it...plz give me suggestion what should i buy.. 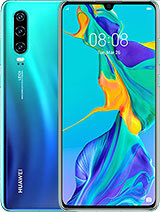 Please never ever buy this phone, I had bought this and took it to the service centre for 6 times in 5 months and most of the time it is with them. It does not support Themes, can't view photos (most), Restarts, Freezes, while on call when i receive a message it rings and the loud speaker turns on.. This is a piece of crap from Sony Ericsson.... Do get cheated by the look of the phone. man, this is my first phone and wat a xperience i have been havin, quite often while i am busy textin, a "out of memory" option pops up n i have to restart the phone. i dont even know wat that out of memory message means!!!!!!!! Anonymous, 14 Jul 2011This phone is worst. Always it hugup n shows out of memory no battery back up. softerware n ap... morei have the same problem..now the worst i can't read my text messages..what should i do with it? pls..any help..i have a better phone(ip4) but i like spiro bec. of the walkman so i dont to give it away. This fone is the weakest!!! it oftenly hang and u have to restart it.. maybe becoz it only has 5mb internal memory.. the flex is weak, Ive already replace its original flex.. thou shall not buy this fone from Sony Ericson. This is the worst product of sony ericsson. dont buy it. honestly telling never ever buy dis phone ur life will be screwed. i cant text any1, call any1, or take pics all this results to switching of phone. till now i have updated at least 6 times through warranty. now i feel ashamed to go der..
it hang in 5 minute plz for the god sake dont buy this phone pleasee!!!!!! it not supporting nimbuzz chat.How can i set other tones as ringtone in it?